If you love heading to New York City but hate the drive, we have an alternative. OurBus is now serving York and Lancaster. The newest bus services hopes to add options to an underserved market. 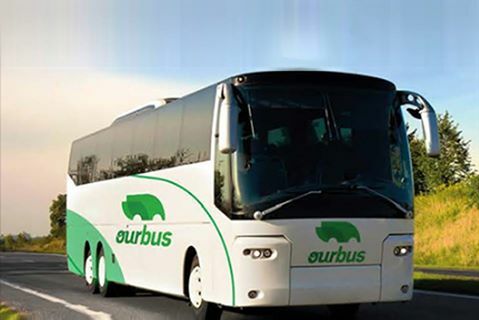 “OurBus is a network company that sets up a new routes for local charter bus companies. 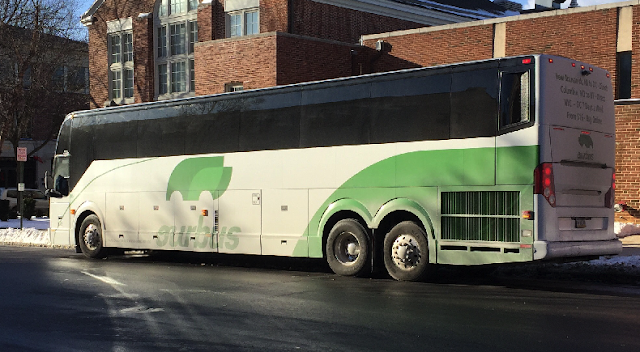 We are partnering with a local charter bus company here in Lancaster called Executive Coach and they are running a daily service now from York and Lancaster to New York City,“ said Axel Hellman, Cofounder of OurBus. The service runs once a day Monday through Saturday and twice a day on Sundays. Fares average $24 but can run as low as $10 each way. “ The best part of the service is that it’s a high-end charter bus. It’s not a typical bus that you are used to riding. There is Wi-Fi on the bus. Every seat has charging docks. We give bottled water to the passengers. It’s a good experience,” Hellman said. There is a tremendous ease in booking these trips. The online only ticketing and app make the process very simple. Plus, a person can track their bus in real-time on the OurBus app to check arrival and departure times. During the week, the bus leaves York at 6 a.m. at the bus station across from People’s Bank Park and 6:41 a.m. from the Hotel Lancaster. 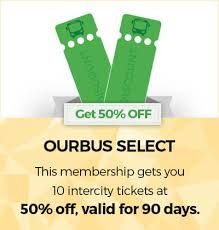 “OurBus does all electronic ticketing. You never have to wait in line at the ticket counter and you never have to print anything. You can just go on your phone or go on our website and buy a ticket and use email confirmation or the app to check in,“ said Hellman. 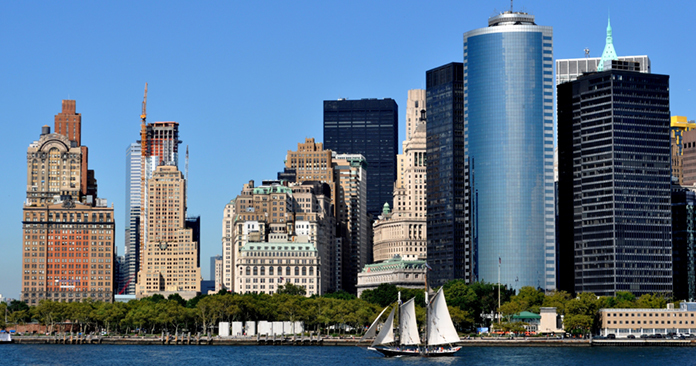 Along with the service to New York City, there are a few stops on the way. The entire trip takes about 3 1/2 hours from Lancaster to New York with stops at Malvern and King of Prussia and Fort Washington. The new service is off and running with ribbon cutting today in Lancaster at noon at the Visitors Center. Also, OurBus is offering a complimentary ride to NYC today which will depart at 1:30 p.m.
Riders can also influence the next possible route. Through crowdsourcing, the company is always taking suggestions from potential customers to determine the next route. OurBus is set to unveil service from State College to NYC in just a few weeks. You can find more information on OurBus here. The bus trip horror stories are out there. 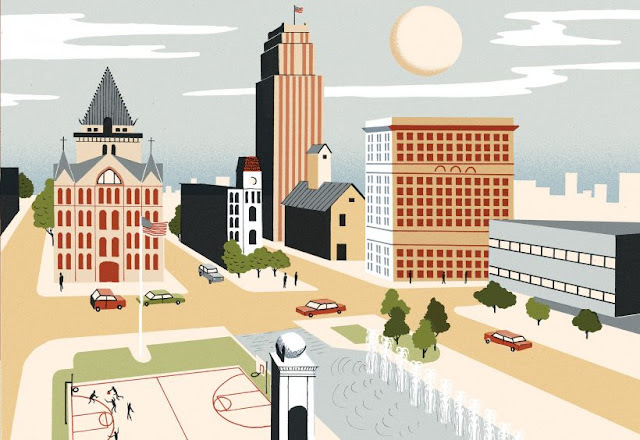 The ones where you simply want to get away for the weekend, but instead get stuck in a layover in Harrisburg, turning a four-hour drive into a 20-hour ordeal. But with a new express line from York to New York City, these trips might become a lot easier and frequent for Pennsylvanians. According to Greyhound's website, one-way tickets -- for trips that can take 8 hours or more to get New York City -- cost between $60 to $90. This new service will offer tickets for half that price and get you to NYC in about four hours. 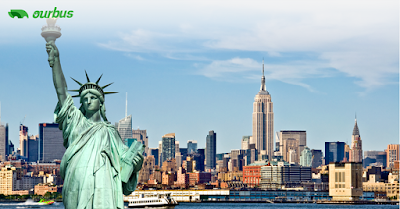 OurBus will offer express bus services from York, Lancaster, and surrounding Pennsylvania areas to Manhattan starting Sunday. "We are definitely excited about this," York city spokesman Philip Given said. "There are express buses from Washington and Philadelphia, but this region of the state has been neglected." “We’re dedicated to offering low-cost, reliable and efficient bus service to cities across the US that have been historically under served by limited transportation options,” Prince said. OurBus has partnered with Lancaster-based Executive Coach collaborating on bus routes, pickup locations and service times. Compared to other express bus lines such as Megabus or Fullington Trailways, Prince said OurBus is different because of its roots as a tech company -- they offer an app on which riders can purchase tickets and track arrival times. Buses often have some stigma surrounding them, said Dale McMichale, owner of Executive Coach. "People think of them as cramped, or smelly, or they think of the yellow school bus they rode in grade school," McMichael said. "But our buses are new." They offer restrooms, wifi, charging ports and free bottled water, Prince said. Buses pick up and drop off in Manhattan near Madison Square Park. Monday through Saturday, the bus departs from 53 East North Street in York at 6 a.m., and on Sunday departures are set at 8 a.m. and 1 p.m. Returning to York from New YorkCity, a bus departs at 3:20 p.m. Monday through Saturday, and at 2:20 p.m. and 7 p.m. on Sunday. Riders in York and Lancaster will be offered $10 one-way promotional fares through July 14 to celebrate the launch of the new bus service serving Southern Pennsylvania with additional stops in Malvern, King of Prussia and Fort Washington, Prince said. Sometimes we find ourselves in a slump and wonder how things can go so possibly wrong. We talk to people, vent our spleen, dissect every aspect of our lives minutely, but often cannot understand we fail to find happiness. Finding happiness is difficult, it’s easier to create happiness. There are various ways in which we can teach ourselves to be happy. One way is to maintain a gratitude journal. Seems easy, right? Initially, it may seem odd to write down simply, oftentimes silly things that make you smile, but as you keep at it, you’ll find it easier and easier to do. Very often, we also find that we create deficits in our lives by constantly comparing ourselves to others. Everyone has their own struggles, but only projects the best side of their personality and life to the world. We only see the good, and unnecessarily lead ourselves to believe that we lead less fulfilling lives. Everyone’s experiences are individualistic, so appreciate your own. A great thing to also do is spend less money on things and more money on experiences. Every time you feel like buying something you don’t really need, ask yourself if the money would be better spent on a holiday, or a good lunch with family and friends, or a class you really want to take. Things can break, memories of well spent moments last forever. Remember, happiness is a choice, and it lies with you! What makes people long to travel? 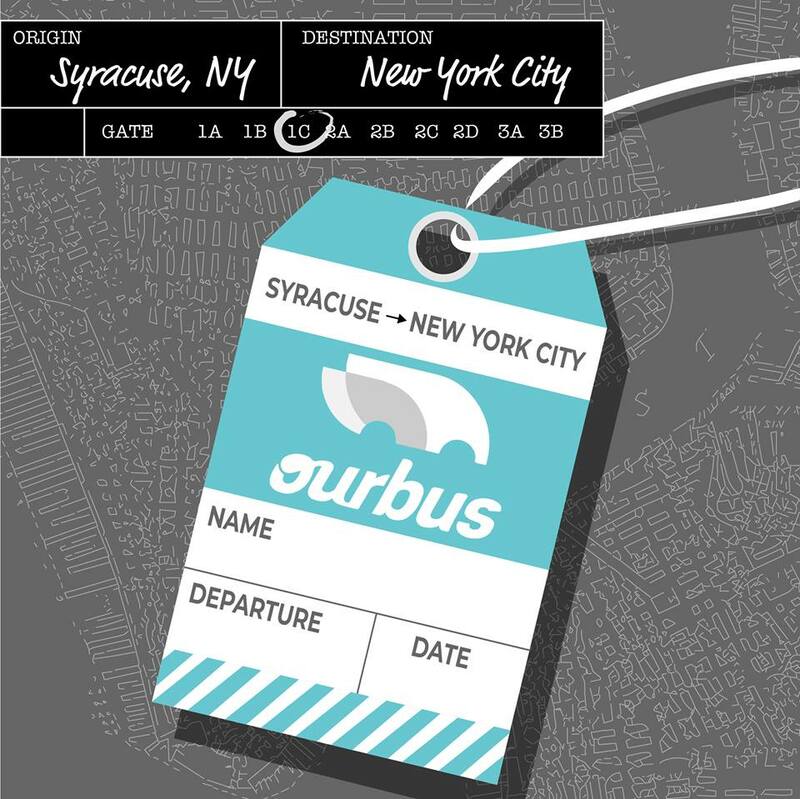 Come warm weather, I’ve been checking out bus routes from Syracuse to NYC, just for a much-needed weekend getaway. And while looking up the things I’d like to do, I realised, more often than not, what I love doing while travelling is walking around aimlessly, and just getting a vibe of the city. Why? Because it gives me a sense of belonging to a place. While charting out where I’d like to walk around, I wondered what it is that makes travel so intriguing. Why do people like to travel? What makes them want to leave the comfort of everything that they know and take-off somewhere? The answers are simpler than I thought they’d be. People like to travel to relax. The monotony of our lives gets to us, ever so often, and we feel the need to break away and breathe some fresh air (sometimes, literally!). And when we see people in the new place we’ve gone to, we end up appreciating our own lives just that little but more. I also travel to meet new people, because sometimes it so much easier to talk to a stranger than it is to talk to someone you know. There are fewer biases in place and because chances of you meeting again are lower, the conversation is more free flowing. So many wander off to different locales to try new and authentic food (can I hear a tummy or two rumble there?) and tickle their palates. Food is what makes the lives of many more colourful and interesting. I know I often travel to learn more about my own endurance and see how well I can adapt to new cultures, broaden my horizons and challenge myself. And on my bus between Syracuse to New YorkCity, I’m going to be thinking of all the ways I’m going to push myself to do something new. Why do you travel? Is it to find something or somebody new? Express bus service between five South Florida destinations gets rolling this weekend. And, Florida Gulf Coast University is one of the stops. OurBus, a New York City-based tech company that specializes in intercity and crowd-sourced bus routes, is expanding into Florida, with a new route connecting Tampa to Miami, with stops in Sarasota, Fort Myers and Fort Lauderdale. It kicks off Friday. Tickets may be purchased at www.ourbus.com or by downloading the free OurBus app from the Google Play Store or Apple App Store. The service initially will run Friday through Monday, expanding to seven days a week in early July. Promotional fares of $10 one-way will be available for the first two weeks or so. After that, regular fares will range from about $15 to $30 each way, said Axel Hellman, one of three company founders. The Florida boarding locations: Florida Gulf Coast University in south Fort Myers; downtown Tampa, across from the Amtrak station; Sarasota at Cattlemen Road in front of Burlington Coat Factory; Fort Lauderdale-Hollywood International Airport and Miami International Airport. Although the local pick-up and drop-off point is a bus loop at an FGCU parking lot, OurBus isn’t only for university students and staffers. There's no parking at FGCU set aside for the express bus users. Most will need to get a lift, either from family and friends, a cab or a ride-hailing service. Still Hellman thinks leisure travelers and budget-minded local families will respond. Without such service – and no nonstop flights from Fort Myers or Sarasota to Miami, for example – people are obliged to make long drives. But, “taking the bus is more convenient, and more environmentally friendly,” Hellman said. And, an express bus can be a time-saver. Greyhound has service to Miami International from the Rosa Parks station in downtown Fort Myers. Its Saturday trip takes an estimated four hours and 50 minutes one-way, and includes a transfer. On OurBus, the trip takes an estimated two hours and 40 minutes, and requires no transfer. OurBus partners with existing bus companies to deliver its service. In Florida, the partner is My South Bus Tours LLC, better known as International Limo of South Florida, based in Pembroke Pines. The bus and limo company will supply drivers and motor coaches that typically seat 56 passengers, Hellman said. Traveler perks include reclining seats, free wi-fi, individual charging ports, sanitized restrooms, free water and free rescheduling. The company also is offering a membership program. For a sign-up fee of $49.99, members get 50 percent discounts on 10 one-way fares. 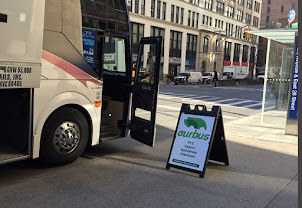 OurBus, launched in 2016, grew its U.S. East Coast service this year with several new routes, including Philadelphia to Washington, D.C.; New York City to Philadelphia – and starting this holiday weekend – Newark, New Jersey to Washington, D.C.
OurBus also serves the Philadelphia suburbs with daily, express bus service to New York City on its Main Line route, which launched in December 2017. And by the end of the year, Hellman said OurBus aims to start several other routes addressing “transportation deserts” in Florida: locations where there is limited rail, air or bus service.